Learn to Sail Camps are Back! A fun little video about how much fun it is to sail! Made by Ben Kyle, one of the LTS instructors. Everyone at the Powell River Yacht Club would like to extend a huge Thank you to our sponsors! It is thanks to your generous support we are able to get local kids involved in sailing who would normally not have the opportunity to participate in a sports program. Our CYA trained instructors are passionate about sharing their love of sailing in a safe and fun environment. The multiday LEARN TO SAIL CAMPS are committed to ensuring all children are able to grow, learn, and succeed at their own pace. 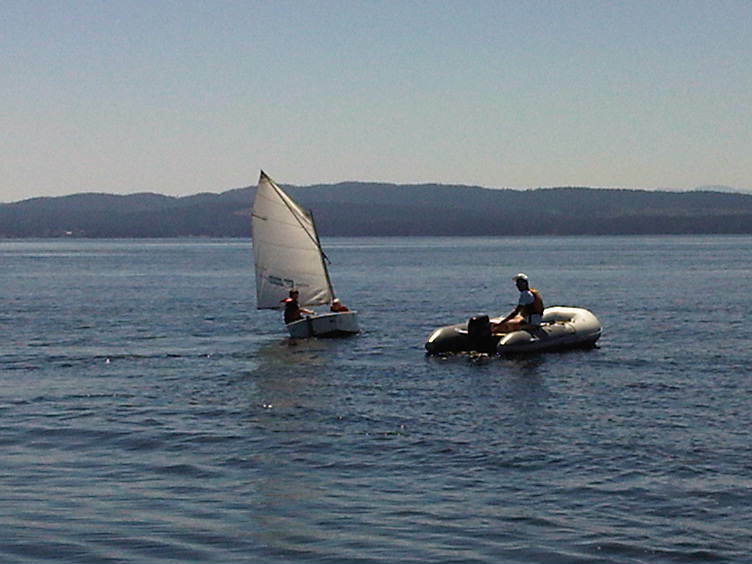 The young sailors’ confidence and independence builds as they progress to handling the dinghies on their own, with their instructor alongside in a motorized coach boat. 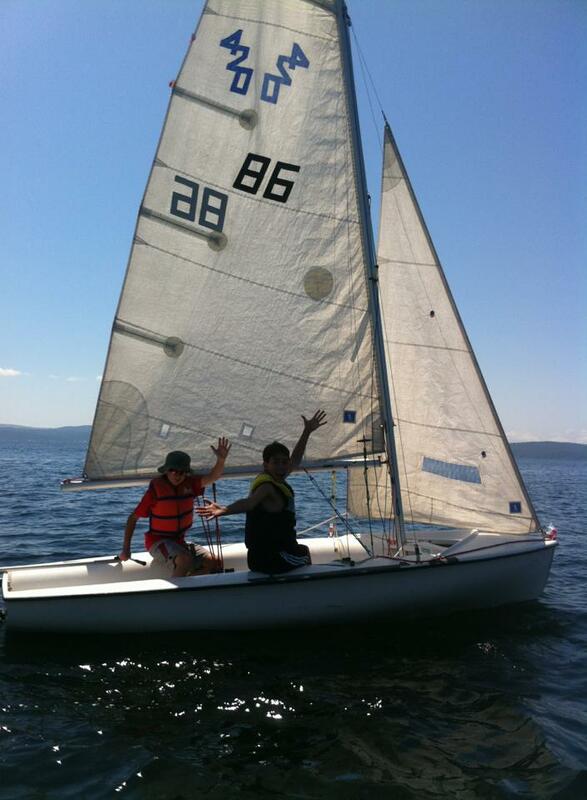 The Powell River Yacht Club is proud to partner with Child, Youth & Family Services to get local kids involved in sailing who would normally not have the opportunity to participate in a sports program. We welcome donations big & small! With a donation of $250 you can send a child to camp for a full week. Get together with friends & family to sponsor a child. Every donation goes directly to camp fees for Powell River kids. 8-10 year olds learn to sail in the 8ft. Optimist. Opti's are the world's most popular starter boat. Safe and stable, they are the perfect platform for the younger sailor starting out. 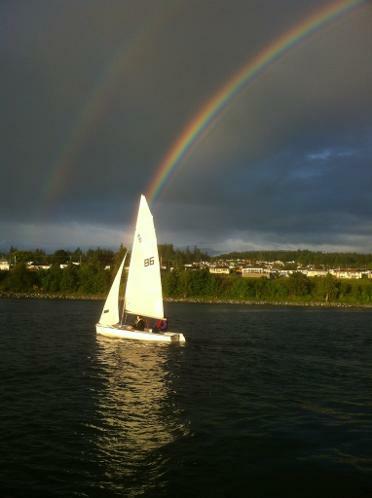 The Opti is sailed by the world's most talented young sailors all the way to international level racing competition. This group meets at Willingdon Beach. 11-16 year olds will progress to sailing single crew lasers & double crew 420's in their Learn to Sail Camps. Both boats are lightweight, responsive, and an absolute blast to sail! Whether these young sailors choose to pursue competitive sail racing or just enjoy a lifetime of safe boating, the skills and friendships they build on the water will endure. This age group meets at the PRYC Dinghy Dock at the south end of the South Harbour, adjacent to the old barge terminal. Adult Learn to Sail Camps use the double crewed 420's. Our evening courses take advantage of the long days through June & July. Check out our Racing Page to learn more about how you can crew on the big boats. 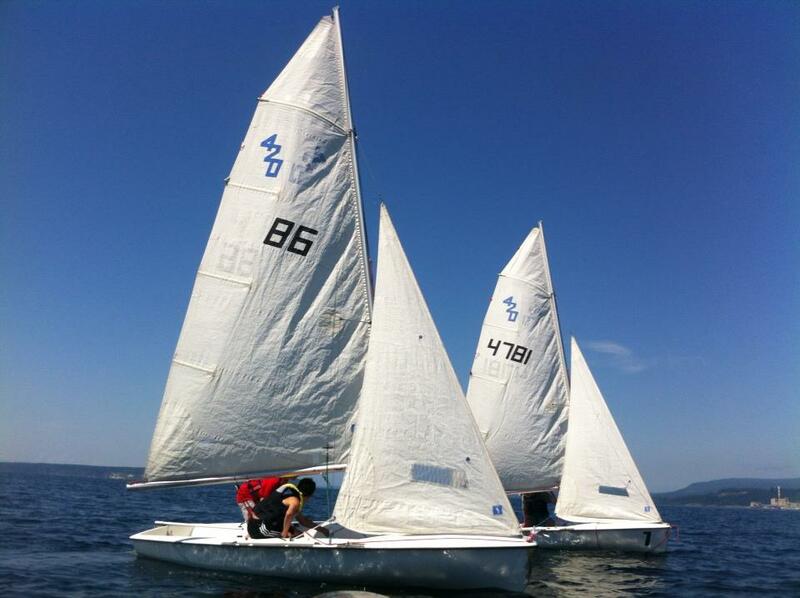 The PRYC Keelboat Racing Series run nearly year round and boats are always looking for crew. Come and join us! The Instructor In Training (IIT) Volunteer Program is available to 14-16 year olds, 1 week commitment. IIT participants will have an opportunity to shadow trained instructors and build on their skills. The goal of this program is to develop the next generation of CYA Certified Instructors and give local youth an opportunity to build their resume before they even get their first job! *Development Week above, Week 6, is designed to give more sailing mileage to those intermediate sailors who want to work towards their next certification level. CANSail 1,2 or 3. This course is also appropriate for sailors 11-16 who have taken lessons but want more time on the water without a desire for a higher certification. Introduction Camps - These camps are designed to introduce kids to sailing for the first time....or a great warm up for those who have been away from sailing for a couple of years. Intermediate Camps - The Intermediate level is meant to take kids to the next level & consolidate the skills they learned in their Introduction course. Kids with lots of previous sailing experience will be happy to join this camp. CANSail 1 & 2 - pre-requisite: 1 week Intermediate Camp within the last 2 years, and/or CANSail 1 for those completing the CANSail 2 Skill Level. The CANSail program is an exciting new format for the CYA. In the last 4 years the CYA has altered their program away from a maneuver based system (learning certain skills in certain boats), to a skills based system. The new skill development model focuses on learning sailing skills in whatever boats you have available. This has made it much easier for programs across the country to support a national standard. The new format emphasizes on-the-water skills and limits the amount of on-shore theory in contrast with the old WhiteSail program. To be clear, the CANSail 1 & 2 Certificates are not automatic for participating. There is a specific list of skills & a manual they follow to develop the skills they need to achieve the CANSail 1 & 2 levels, as prepared by CYA & BC Sailing. Our instructors' goal, is to set everyone up for success. 8-10 year olds will meet on the beach at Willingdon. Our instructors will be there with the boat trailer each morning. 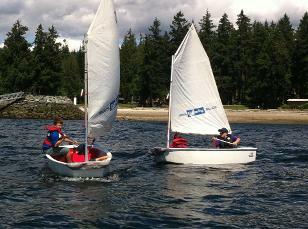 Spring & Fall After School Programs - All Ages meet at the South end of the South Harbour, Westview, PRYC dinghy dock. Your parent or guardian ;0) - to say hello & meet the instructors. Rain jacket, rain pants, gloves, hat, & sunscreen. You will get wet at some point, as sailing is a water sport. Everyone has to capsize, but it is done in a controlled environment the first time. Accidental capsizes do happen from time to time. The idea however is NOT to capsize. You will be instructed how to avoid capsizing. If you do not have your own PFD, we do supply Personal Flotation Devices for all participants. LEAVE ALL VALUABLES THAT DO NOT AGREE WITH WATER ON SHORE! Parents are welcome to watch lessons from shore. Camp fees must be paid in full, at the time of registration. All accepted registrations are subject to a $30 cancellation fee. There will be no refunds for cancellations made less than seven days before the scheduled start date unless we are able to fill the spot in the camp before the camp begins. Camps require a minimum of 4 participants. Parking is available at the South Harbour adjacent to the Sea Walk & at Willingdon Beach.